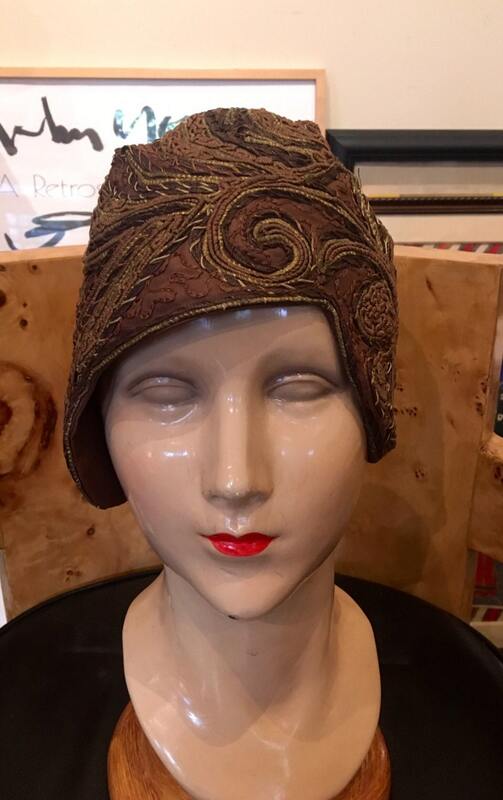 Vintage 1920s Brown and Gold Embroidered Cloche 21.5"
This is a clever little number, I love the unusual curves framing the face! 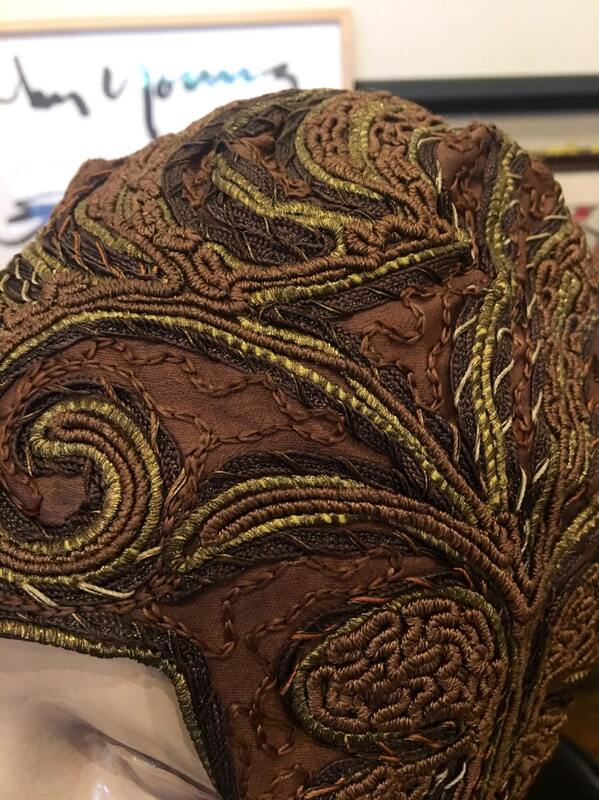 The embroidery is stunning. 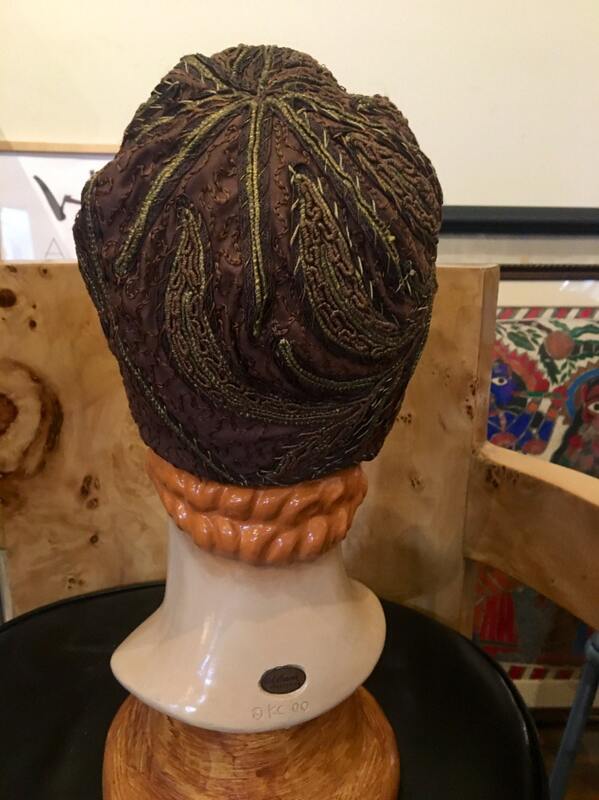 The underlying color is a toffee brown, with a darker brown and gold threading through out. As far as I can see, there are no rips, or tears to the embroidery. 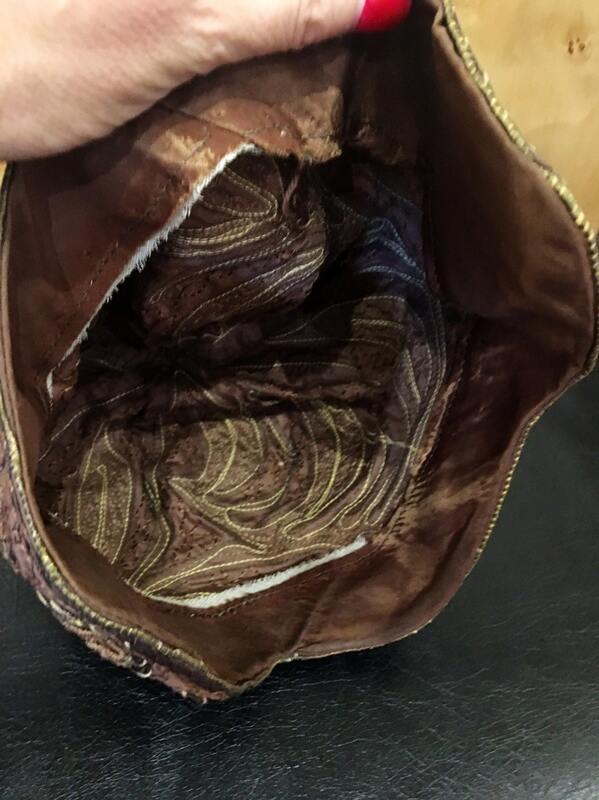 The inside of the hat is very clean. 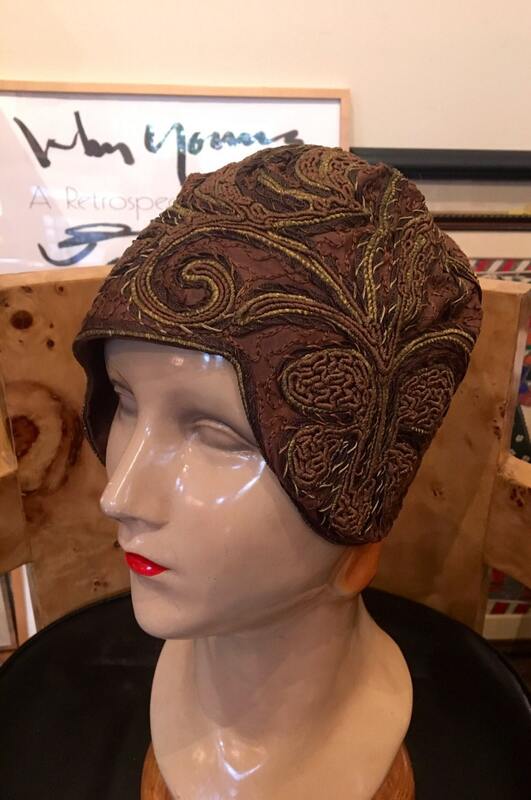 Around the inside, the hat is enforced with toffee colored silk taffeta. The hat measures 21.5", but I have a 21" head, and it fits perfectly. As mentioned, there are no tears, rips, stains or holes. I am rating this hat as being in EXCELLENT condition!